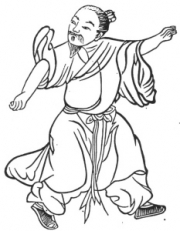 In our school we practice various forms of Chi Kung, notably aimed at maintaining and improving health. 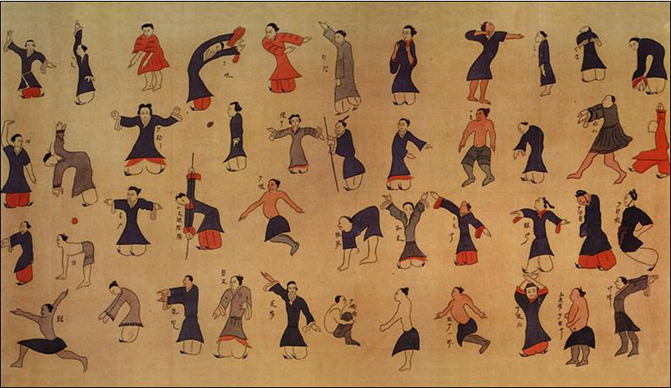 From relatively simple exercises, such as Ba Duan Jin (Eight Pieces of Brocade) and more complex, as the six healing sounds (Liu Jun Zi Jue) or sitting Chi Kung , Shi Er Duan Jin (Twelve pieces of brocade). Our pedagogy allows from the very beginning, the student can join the pace of classes without problem, can enjoy the benefits of the practice from day one. Our exercises are supported by the Chinese Association of Qi Gong renovated, whose experience, using scientific criteria, has led to the systematization and improvement of traditional Qigong exercises.